“Eugene – Uses Ibanez RG 1527 7 string guitar, ESP SP 203 7 string guitars, DiMarzio Liquifire and Crunch pickups, Boss GT 6 Multi effects processor, EQ 20, Ernie Ball strings, Ernie Ball and Python Cables, Alesis Rack Mount Midiverb, Peavey Rack Mount EQ, Alan & Heath personal Mixer Pre-FOH. Pro-found Awe-in-One grooved picks. Rex is on Tama drums and Neil Peart signature medium weighted sticks, Meinl, Sabian, Zildjian cymbals, Iron Cobra double pedals. Krossfeat (Rock/Progressive/Grunge) comprises of Born on vocals , Eugene on Guitar , Rex on Drums & Bob on Bass. 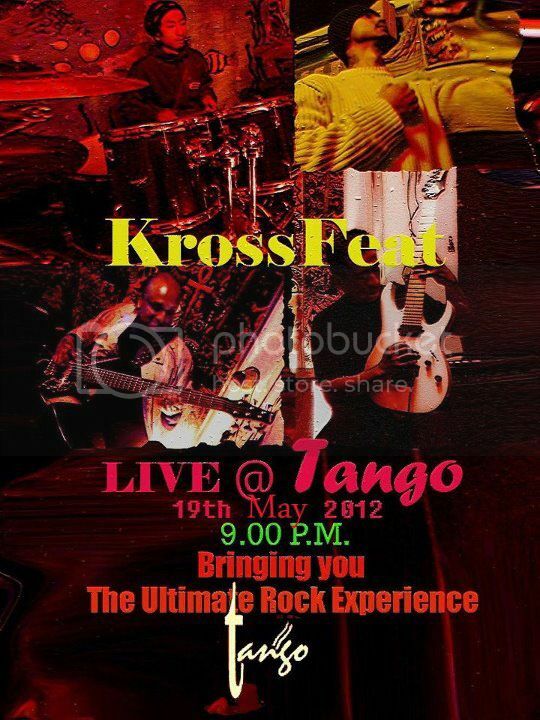 Catch them live at TANGO, Police Bazar on the 19th of May 9.00pm onwards.